According to a new study, age may play a significant role in a cell’s ability to respond to physical activity. That is, If you’re an older adult, a 30-minute workout may not be as effective, even at the cellular level, as it was when you were younger. Through the study, Traustadottir, an associate professor of biology and his team were able to determine that an individual’s antioxidant response to exercise becomes suppressed with age. 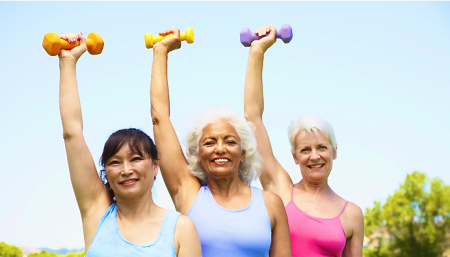 Exercise is effective and critical for people of all ages, but this study shows that older adults do not achieve the same beneficial cellular responses as younger adults from a single bout of moderate exercise. The findings indicate a single session of submaximal aerobic exercise is sufficient to activate an important group of antioxidant genes at the whole cell level in both young and older adults. However, nuclear import of Nrf2, the regulator for this group of antioxidant genes, is impaired with aging. Nuclear import is required for Nrf2 to access the antioxidant gene targets. 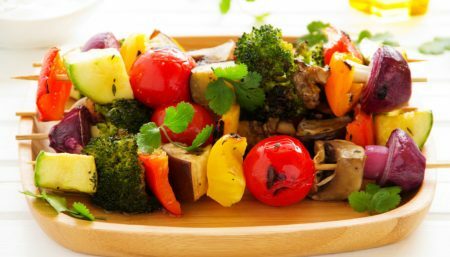 Diet – specifically, getting the right nutrients – is one of the keys to maintaining immune health, but there are numerous other little steps we can take at home to boost immunity in yourself and your family. Herbal teas, dietary supplements and even some types of gentle exercise like tai chi fall under the category of naturopathy, or naturopathic medicine can prove helpful. 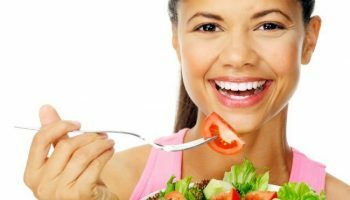 Here are several ways to promote that balance through diet, exercise, supplements and other healthy-living strategies. Get some Sun: Spending some time in natural light is one of the key ways our bodies manufacture vitamin D. Vitamin D plays a role in helping our immune systems produce antibodies; low levels of vitamin D, on the other hand, have been correlated with a higher risk of respiratory infection. Say “OM” aloud: While the physical effects of stress are still being studied by scientists, studies have so far proven that chronic stress can lead to a variety of negative effects on physical and emotional well-being, including a reduced immune response. Stress-reducing practices like meditation, massage, and even music can help us relax and improve our immune function. Try turmeric. The bright orange-yellow spice that gives curries a distinct flavor and mustard its color also has anti-inflammatory properties, and there is increasing evidence that it helps prevent illness, too. 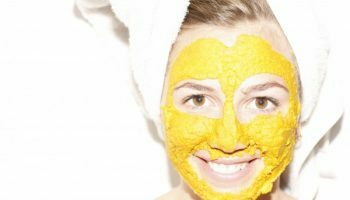 Particularly relevant for seniors, extracts of turmeric seem to play a role in preventing cancer, slowing Alzheimer’s, and alleviating arthritis pain. Eat more Vegetables. Vegetables, as well as fruits, nuts, and seeds, are loaded with nutrients that we need to keep our immune systems in top health. In particular, cruciferous vegetables like cabbage, kale, and broccoli help support liver function, a key part of our bodies’ natural detoxification process. Micromanage your Minerals. Selenium, according to Harvard Medical School, may help prevent cancer, and zinc is a critical ingredient for the proper function of our immune cells. However, experts caution that too much zinc can actually impair immune function, so it’s important to stick to the recommended daily allowance. Maintain a low-sugar, low-fat diet that incorporates whole grains and lean proteins. Make room for ‘Shrooms. 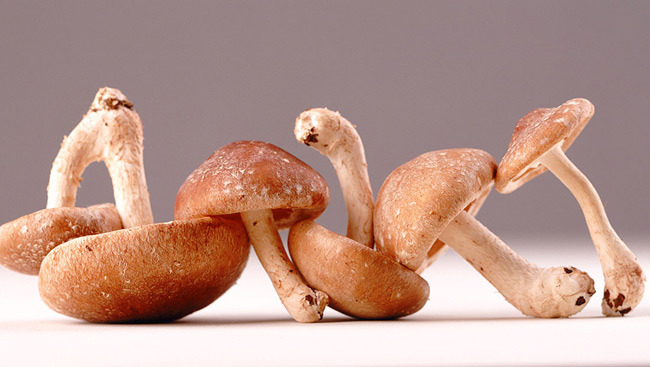 Certain types of mushrooms, particularly Japanese mushrooms like shiitake, maitake, and oyster mushrooms, have recently been shown to help support the production of immune cells. They’re also loaded with antioxidants. Try herbal remedies. Scientists are still studying the effectiveness of many herbal supplements traditionally used as health boosters, like echinacea and ginseng, but whether or not they have a measurable effect on the immune system, a soothing tea can help with relaxation, sleep, and stress reduction. Of course, you should always talk to a doctor before making herbal treatments a regular part of your arsenal. Keep on Moving. Regular exercise contributes to our overall health in numerous ways, and a healthy body means a smoothly functioning immune system. Some forms of exercise, like tai chi and yoga, are also particularly suited for reducing stress and improving the strength, balance and flexibility that we often lose as we age. Avoid dropping out, and build on the duraion steadily. Consider taking Probiotics. Probiotics, or “good” bacteria, are not only an important part of a healthy digestive process but also our immune systems, though scientists are still studying exactly how and why this happens. A study on athletes found that probiotic supplements helped prevent and combat colds, but you can also get probiotics from naturally fermented food sources, like yogurt and kimchi. Stay Positive: A healthy outlook on life boosts endorphins, which make us feel good. Seniors who keep up with activities and hobbies that make them happy or challenge them in an enjoyable way have a better chance of staying positive and healthy. Antioxidant supplementation can prove helpful in certain isolated cases of acute infection, tissue damage, or a damaged or aged metabolism, but for most of us antioxidants are probably worthless. In fact, antioxidant supplements can interfere with and weaken the body’s inherent ability to mount an effective defense against oxidative damage and its contribution toward degenerative diseases.